Kongou Falls belong to 20 most powerful waterfalls in the world. These falls are located in a true Garden of Eden – rainforest in Ivindo National Park. Equatorial rainforest in Gabon is overwhelming in its beauty and impresiveness. Many travellers report that Gabon with its 85% rainforest cover is like a dream come true. Ivindo River flows through such (seemingly) endless tract of rainforest before joining the larger Ogooué River. For most part there is no sign of civilization near Ivindo – just a bit of tourist infrastructure and some roads near Kongou Falls. One can enjoy total wilderness for the next 120 – 150 kilometres below Kongou Falls. 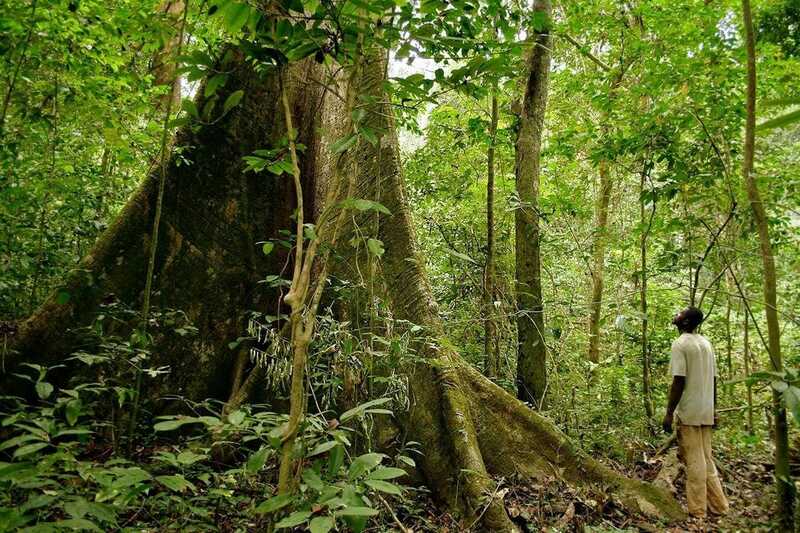 This forest has some of the highest concentrations of forest elephants, chimpanzes and gorillas worldwide, here live thousands of other species of animals and plants. Yes, also snakes, ticks and crocodiles. Ivindo River has many spectacular waterfalls and rapids. Four largest waterfalls are: Kongou, Mingouli, Kuete-Mango (possibly the most beautiful) and Tsengue Leledi. Kongou waterfall has very complex configuration, somewhat similar to the configuration of Iguazu Falls (which are exactly two times more powerful than Kongou). Kongou falls have countless smaller and larger streams, steps and cascades. Smaller islands divide the falls, there are even separate trees growing in the falls – waterfall and the rainforest are intermingled. This gorgeous waterfall is of high spiritual importance to local people. Ivindo River in general is not similar to most rivers. It constantly divides into smaller streams and one can easily get lost here. In 2002 there was established Ivindo National Park and in 2005 there was proposed to include it in UNESCO World Heritage list (not included up to this day). It seemed that this gorgeous place is spared from the axe of civilization… until the plans changed. Around 2007 it was announced that a hydropower plant would be built on Kongou Falls and the energy would be used to power the new Bélinga iron mine. Preparatory works started, access roads were built in 2008. Environmental organizations in Gabon started a campaign against these plans. This was not an easy fight, as most European NGO’s have used – African activists had to fear from arrests. This time it was success – in 2009 works were stopped, planned mining operations were scaled down. Now, in 2013, the waterfall flows as usual and the road is gradually being retaken by rainforest. The beauty of falls is enjoyed by some 150 – 200 people every year and we can always ask ourselves: is it good or not that this fairy tale place is not a part of mass tourism craze. Olaf Obsommer, Gabun – Kajakabenteuer in Zentral Afrika, Teil 2, 4-paddlers.com. Accessed in the 22nd May 2013. Kongou Falls, World Waterfall Database. Accessed in the 22nd May 2013. Gabon is sparsely populated country which per 85% is covered with equatorial rainforest. Highlights of this country are impressive ecosystems including unusual relict rainforest which persisted during the ice age thanks to the fog from cold ocean streams nearby. 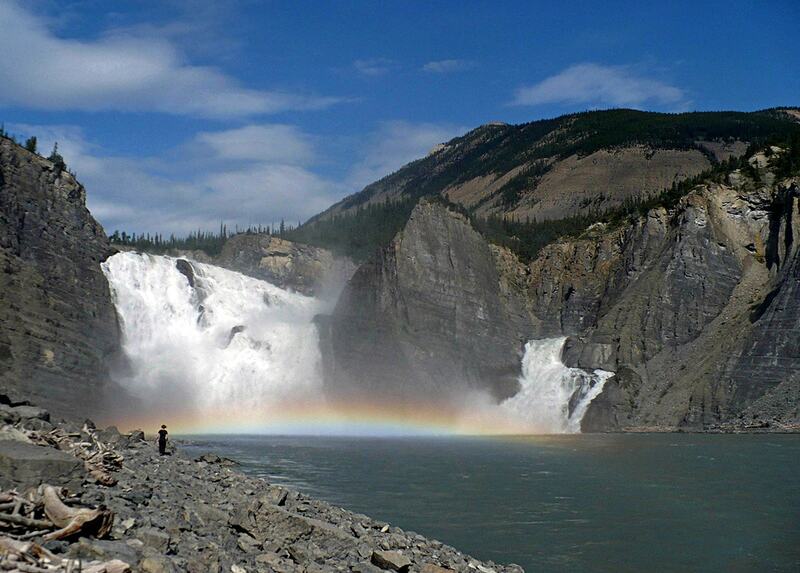 In the country are located also impressive waterfalls and rapids. Gabon, the land of the surfing hippo, is a West African country home to truly exceptional biodiversity. 30,000 gorillas stalk the jungle, manatees and humpbacks are present around the country’s 800km of coastline and Gabon’s 13 national parks offer wildlife-watching experiences unlike any other. Bradt’s Gabon is the only English-language guidebook available and includes a comprehensive section on the country’s birds and bird-watching alongside chapters on history and culture.